Drifting became popular in Japan in 1970s and since then has spread all over the world and today has a special place in US racing culture. Basically, it’s a technique of oversteering a car, making it lose traction, particularly in the rear wheels, while passing the turns. A driver needs to make sure the rear slip angle is bigger than the front one by using all the controls he has. Such a technique takes a skilled driver and delivers fun and pleasure both to the man behind the wheel and spectators. Virtually any rear-wheel drive car can be used for drifting, but performance-enhancing modifications are countless depending on your bank account and ambitions. It is preferable that the car was lightweight, equipped with LSD (limited slip differential), manual gearbox, powerful engine, strong clutch and modified suspension. Another important car requirement is a good weight distribution between front and rear axes, ideally 50% by 50%. 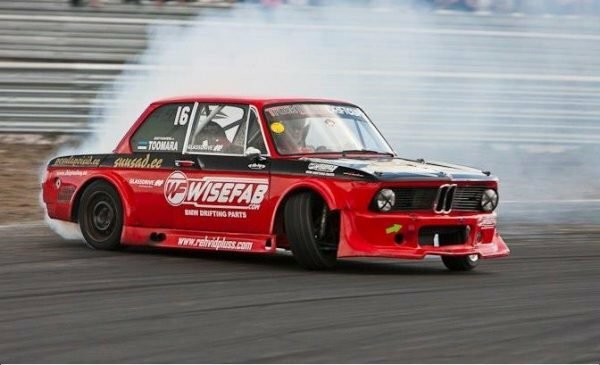 While there are many cars that can be modified into drifting machines, some models have been preferred by professional and amateur racers thanks to their perfect power to weight ratio and tuning capabilities. Here is the list of the top 10 cars for drifting. Most of BMW vehicles are rear-wheel drive, so technically they are appropriate for drifting. However, these German luxury cars come at high prices, so you’ve got to look for older models. E30 or E36 models of the 3-series are the best options. They still require some work on weight reducing as they usually come with high trimming level. M3 versions are a perfect choice too as you will need to do little with the powertrain to turn it into a drifting vehicle. Michael Essa won the Formula D Championship in 2013 on one of those. And BMW is one of the few European cars available for drifting. The luxury 2-door coupe Lexus SC, also known as Toyota Soarer, turned out to be a great drifting car despite its premium setup and heavy weight. The first generation vehicles, produced from 1991 to 2000, were originally powered by impressive 3.0 L V6 and 4.0 L V-8 engines, producing enough torque to slip the wheels in spectacular drift. Naturally, the luxury interior is to be replaced with lighter sports equipment and the comfortable suspension needs to be taken good care of. The second generation Lexus SC 430, driven by Daigo Saito, was the Formula D champion in 2012. 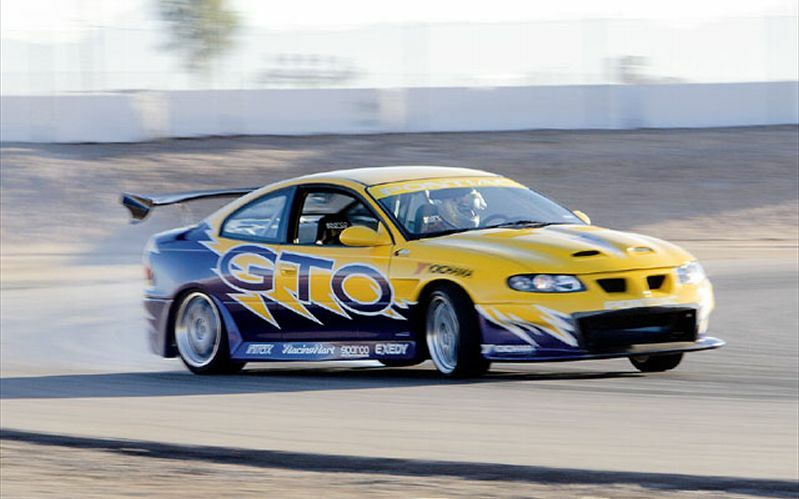 Though it is actually a rebadged Australian-made Holden Monaro, Pontiac GTO delivers some typically American muscle in a two-door coupe body. Two huge 5.7 L and 6.0 L V8 engines make 350 hp and 400 hp of power respectively and immense torque to slip the rear-wheel driven chassis in breathtaking drift. 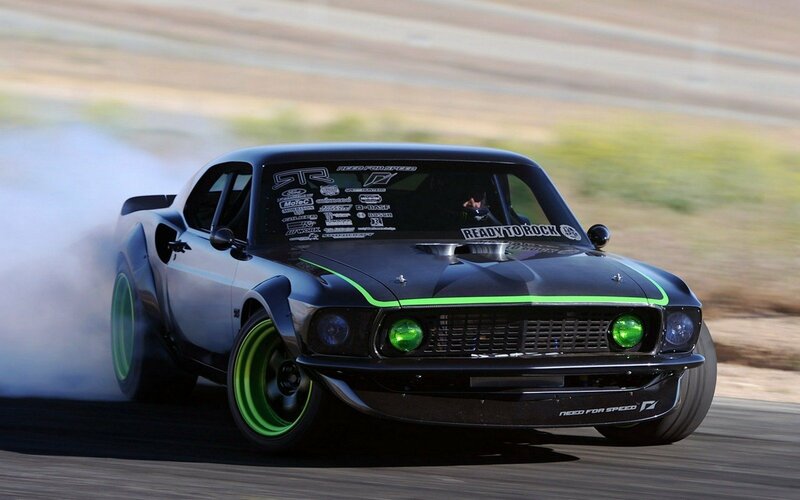 The fourth generation of the American legend, produced from 2004 to 2006, made a significant impact on US drifting school. In 2004 Rhys Millen won the Formula D championship driving one of these. 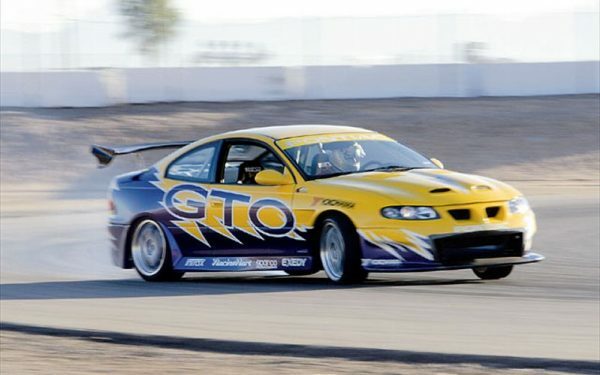 Alongside Ford Mustang Pontiac GTO is one of the few American cars popular among drifters. Nissan Skyline is a legendary all-round fantastic racing car. 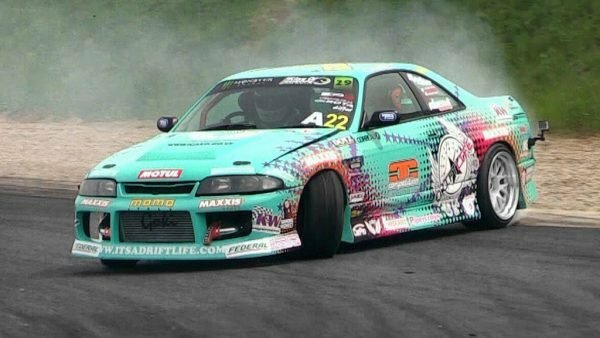 The R32, R33 and R34 models, produced from 1988 to 2002 are extremely popular for drifting due to perfect weight balance, rear-wheel drive, powerful engines and unlimited way to go in terms of tuning. The stock power of 2.5 L turbocharged 6-cylinder engine is 280 hp. These cars were never exported to the US and come with the right-side steering wheel. In 2002 Nissan replaced the R34 model with a heavier and more premium V35 generation, sold in US as Infiniti G35. 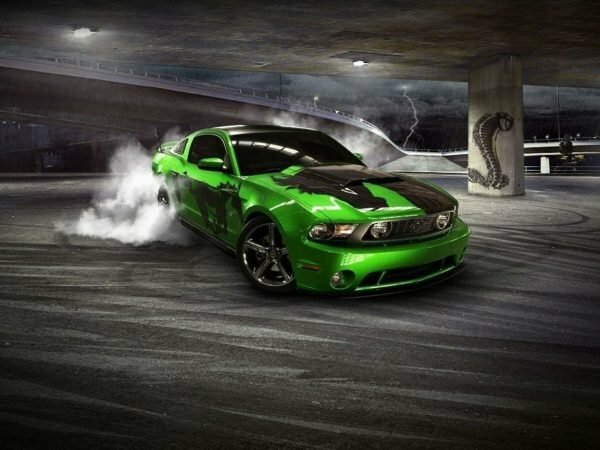 Ford Mustang is a great option for those who take pride in US automobile industry and prefers American muscle to Japanese light cars. 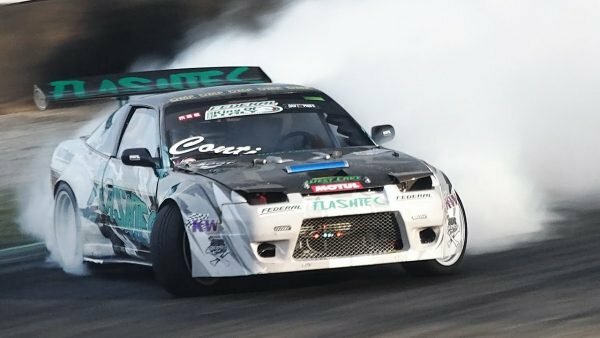 At the same time, it is one of the few drift-compatible cars that is easy to find and can be purchased new as long as most Japanese drifting machines were discontinued over a decade ago. However, Mustangs are quite bulky and require a serious diet tuning to match the Japanese rivals. It is not the cheapest vehicle either, so they are more popular with professional racers rather than amateurs. Yet, you don’t find many V8-powered drifting cars, so it definitely has enormous appeal. 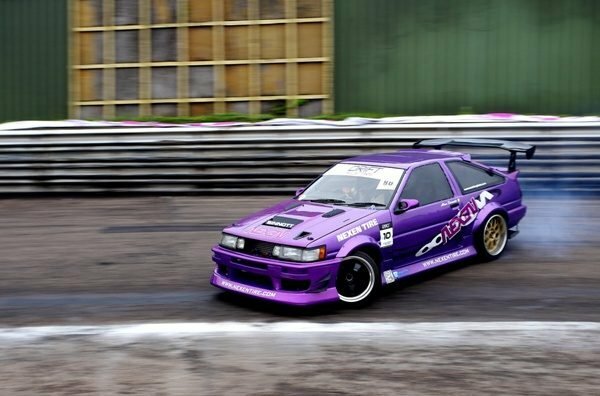 The iconic Toyota AE86, known as Hachiroku in Japan, is the last generation of Toyota Corolla available with rear-wheel drive and a cult figure in drifting world. Produced from 1983 to 1987, it is quite difficult to find these days. However, if you manage to drive one, it will deliver tons of adrenalin and fun to you. Equipped with close to none electric systems, the AE86 will take no time in highlighting your mistakes. Yet, once you master this frisky little car, you will be ready to join the world of adult drifting. The standard engine is only a 1.6 L, but the 130 hp output does a decent job in a 2,000 lb body. Nissan cars make some of the best raw material to build a perfect drifting vehicle. 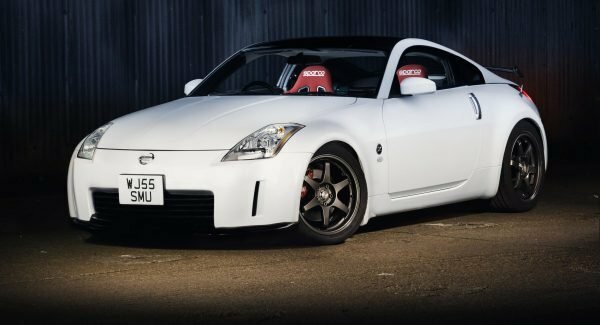 350Z became a favorite among racers all over the world and, naturally, North America. 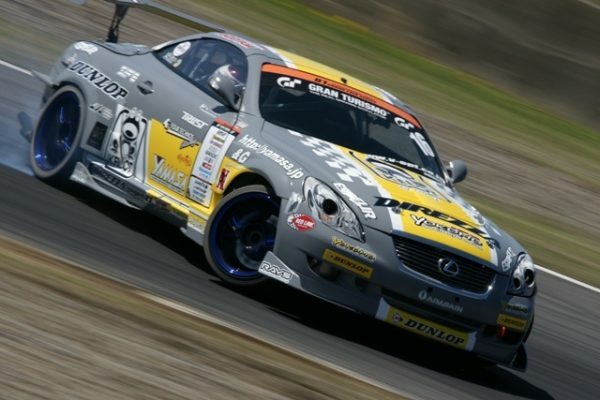 It was driven by Formula D champions for three consecutive years from 2007 to 2009. Tanner Foust managed to get a perfect 100 points driving Nissan 350Z. So what makes it a perfect drifting apparatus? Rear-wheel drive, near perfect weight balance, a powerful 3.5 V6 engine, providing around 300 hp, and an attractive roadster design. However, it is not a cheap car to buy, so it’s a good option for professional drifters rather than beginners. Supra is the first car you think about when it comes to Toyota’s drifting machines. The last generation, known as Mark IV, was powered by a 3.0 L 6-cylinder naturally aspirated or twin-turbo charged engine. The export versions of the turbo engine delivered an output of 427 N-m and a power of 320 hp. Plus, it’s incredibly durable which makes it perfect for additional tuning. Unfortunately, like many of its contemporaries, Toyota Supra was discontinued in 2002 mainly due to new emissions regulations. Today this legendary machine remains one of the favorites among drifting lovers. RX7 is a legendary sports coupe from Mazda. Attempting to promote its Wankel rotary engines, the manufacturer from Hiroshima combined its best technologies in a small sports vehicle that later proved to be fitting perfectly in drifting society. The tiny 1.3 L rotary engine on the FD model, produced from 1991 to 2002, delivered 252 to 276 hp in standard variant. Complemented by the car’s light weight, rear-wheel drive and tuning-friendly configuration RX7 is a hot drifting machine. It does take a skilled driver to get the best out of the car though. Vehicles, built on Nissan S platform are the ultimate drifting machines. Named Nissan Silvia, 200SX or 240 SX depending on the market, they have become popular among racers and won numerous tournaments in North America, Asia and Europe. 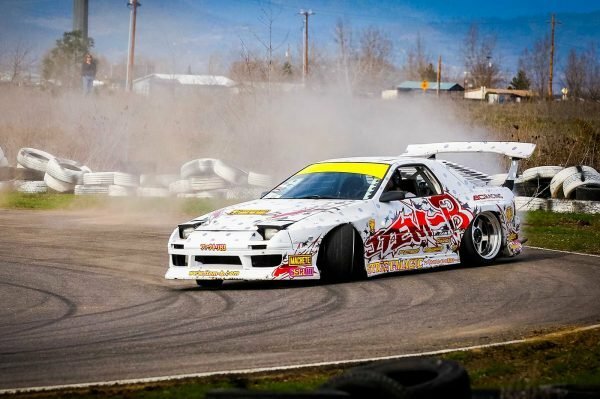 S13, S14 and S15 models are the most popular among drifters. 1.8 L engine was standard for S13 model, while its successors were offered with a 2.0 L turbo-charged or naturally aspirated engine. Multiple tuning options are available to turn it into a competition vehicle. However, in 2002 Nissan discontinued the S platform and S15 became the last model produced. If you are thinking of starting drifting, hurry up to get one of these as they become harder to find every year.